Evintagelife Skirts first appeared on Chictopia's streetstyle gallery in Summer 2014 seen on Hong Kong blogger be368. 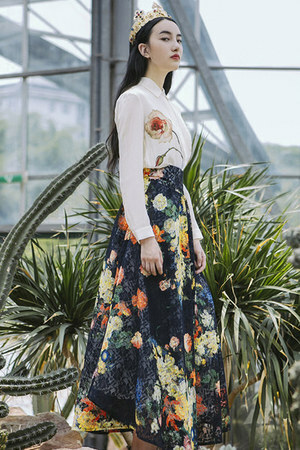 Since then, Evintagelife Skirts have grown in popularity as bloggers from Hong Kong have discovered them. Evintagelife Skirts are generally seen in chic and comfortable style. A popular type of Evintagelife Skirts are skirt. There are currently 4 streetstyle photos of bloggers wearing Evintagelife Skirts. Most recently, blogger evingirl of evinlife.com styled her evintagelife skirt skirt in a streetstyle look.